Burna Boy has been building his superstardom for quite some time, but Sway just finally got the opportunity to have the self-proclaimed ‘African Gaint’ in his studio in New York. The Afro-fusionist found time from his African Giant tour in America to sit for an interview at the Sway’s Universe, speaking on the diversity in African culture and the western culture. The interview allowed him to air his views on western culture’s influence, explaining how he had to smack himself out of the illusion that western culture was somehow better than his African origins when he’d rather listen to DMX while his grandfather was managing Fela. He highlighted the creative prowess of African, calling African women gods and closed by explaining that music is the gateway for black Americans trying to reconnect with their roots. After the interview, Burna Boy also took part in the “Five Fingers of Death” freestyle, where he rapped over 5 different beats. After teaming up with Normani, Rita Ora and Bea Miller, 6lack continues being the go-to guy to play the partner on romantic pop songs. “Imported” appeared on Jessie Reyez’s ‘Being Human in Public’ EP last year but she called on 6lack to give the song a duet attribute for the remix as he promises to help take her mind off loving someone else over the catchy beat Hennedub produces. Zac Facts directs the music video for “Imported (Remix)”, setting the two singers in a room where they perform their verses, with their backs to each other. They later take a car trip together with sexual tension growing as they stare into each other’s eyes. Directed by Tchidi Jacobs, the music video for AKtheKING’s “White Noise” is a tribute to the Ohio based rapper’s gritty background, growing up in Ibadan. While he waxes confidently, spitting inspirational bars about his motivation as a rapper trying to make it like any other rapper who came from nothing, the video walks us through AKtheKING’s neighborhood, where he rides bicycles with his friends and plays basketball at a court. Though his candid lyrics, “I’m Not Going To Sit Here and Tell You I Came From The Slums or That I Grew Up With Guns”, portrays him as having grown up in a privileged community, the gritty look of the video seems to say otherwise and make it the perfect fit for a song that glorifies the hustle for a better life. Since releasing “King James” last month, Anderson .Paak has gotten fans excited for his coming ‘Ventura’ album. While we wait for its release, scheduled for the 12th of April, the multitalented artist just upped the ante by teaming up with Motown legend, Smokey Robinson for a new track, “Make It Better”, also expected to feature on the album. The soulful track is produced by Alchemist and Fredwreck and Andy Hines directs the accompanying music video, following the singer and his love interest as they go through the ups and downs of their relationship. Shane Eagle released a remastered version of “Ap3x”, one of the standout cuts from his ‘Never Grow Up’ EP released last year. The remastered version features a verse from Dreamville and Interscope Records rapper, Bas, who also shows up in the accompanying video to rap besides Shane Eagle who also has a new cocksure verse to add. Heath Ledger’s iconic role as Joker in “The Dark Knight” left huge shoes to fill after his death in 2008. 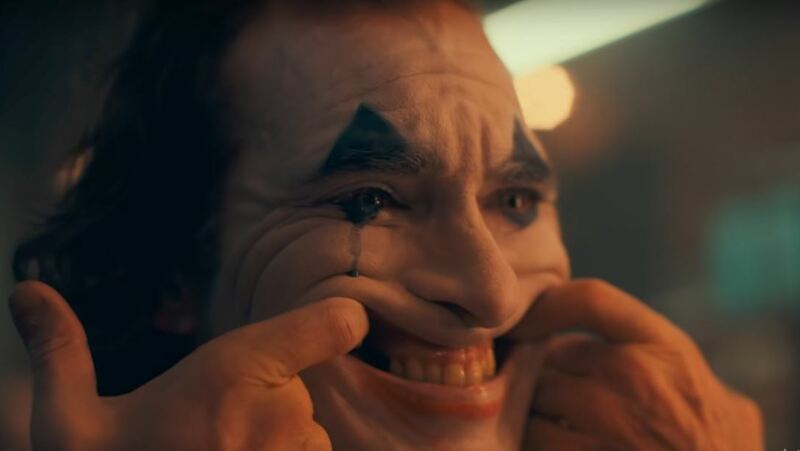 Jared Leto’s Joker in “Suicide Squad” is proof that the madness of the clown-faced villain isn’t easily replicated, but the first look at the coming “Joker” adaptation by Joaquin Phoenix seems more than competent. 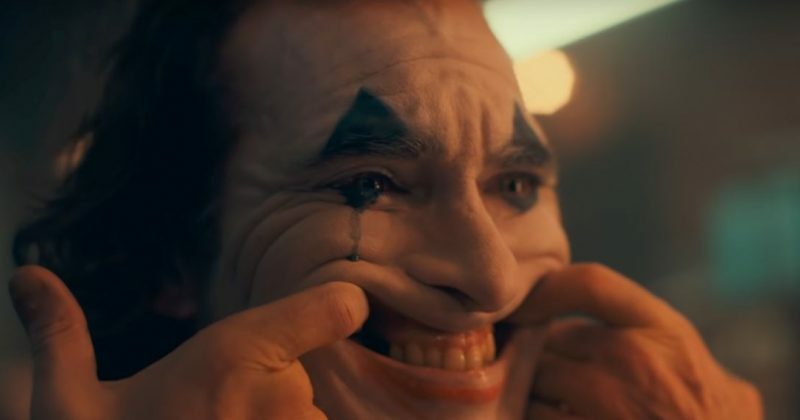 The 2-minute long teaser trailer shows “Joker” to be an origin story from the Batman comic. But unlike most comic book plots, this story is built like a physiatrist’s study of society, criminal mentality and mental illness. The trailer depicts this as it opens with a therapy scene, allowing his introspective monologue playout while we watch the lead go through his traumatic daily life in the grim and chaotic city of Gotham. Todd Phillips is directing the film expected to hit the big screens in October.